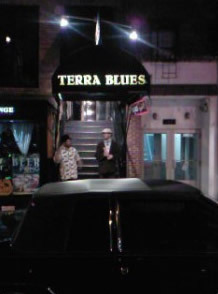 We arrived at Terra Blues for the nightly acoustic set at about 7.30pm, not really knowing what to expect. What we discovered were two rare treasures. 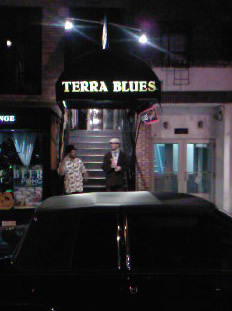 The first was the venue itself. We were instantly bowled over by its style and warmth. This place is charming and sophisticated, with mood lighting, a vaulted ceiling and candlelit tables. And teasing us from the stage, like a spotlit still life, was an empty chair, a red Lucille Gibson guitar signed by BB King and a silver-faced Fender Twin Reverb amplifier.